A bike computer can help you understand more about your riding, speed and location, with ease. There are many types of bike computers for stationary bikes, outside bikes, for GPS purposes and other types of riding situations. Each of these bike computers have different features and purposes to aid in your type of exercise routine. 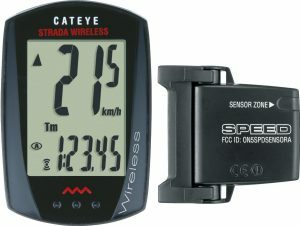 There are also various manufacturers who produce these great bike computers including Garmin, CatEye and Sigma. Prices range from $50 to hundreds of dollars for a good bike computer. However, you don’t have to spend a fortune to get a great bike computer. So before you go searching for the best mountain bike computer or the best road bike computer or even the best cycling GPS learn about the features and costs to help you make a more informed decision. There are a wide array of what bike computer can do these days with all the new technology coming out in the world. Here is a decent list of many of the functions you can find in a good bike computer. Touch Screen: Most bike computers these days have an easy to use touch screen instead of buttons or arrows. Buttons or Toggle Arrows: A few bike computers may have toggle arrows or buttons instead of a touchscreen. This feature is only about personal preference. Performance Monitoring: This part of a bike computer monitors things like your heart rate, speed and distance. 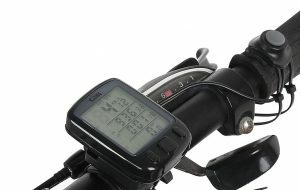 Online Functions: Some bike computers will allow you to upload data, share your workout and update maps via a USB port. GPS: Some bike computers like the Garmin will actually have a built in GPS system and can even give you directions to your destination. Clock/Stopwatch: A good bike computer will have a built in clock and possibly a stop watch. This will help you keep track of time while the stopwatch will let you time yourself. This is helpful if you are in training. Anti-glare: A great feature to have with a computer for your bike is an anti-glare screen, this is especially important for road bikes and mountain bikes since you are riding outside and the sun can make it quite hard to see a digital screen at times. Some new stationary bikes meant for indoors may have bike computers. However, not all bikes that will be your indoor trainer will have one. So if you are looking for a an indoor bike computer to track your distance and speed this product is one of the best on the market today. 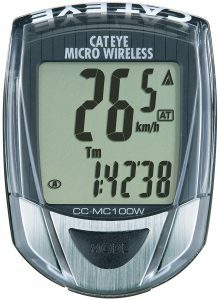 This bike computer from CatEye functions as a tachometer, in other words it measures revolutions per minute or measures speed. It will display your average speed, maximum speed and current speed on request. It also will measure distance for you. This indoor bike computer comes with lithium batteries and an easy bike mount. Overall, it is a wonderful device to aid you in your workout routine. Finding a bike computer for an off-road bike, mountain bike or commuter bike that is under a $100 is a steal. This Bryton bike computer is an ideal choice for the right price. 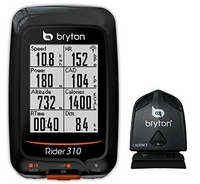 The Bryton Rider 310 GPS Cycling bike computer tracks your time, speed, distance and even your calories burned making it one of the greatest device made for a bike. It also has a built in GPS and it’s battery life is up to 36 hours. This bike computer is also waterproof and has an anti-glare screen allowing you to use it in rain or shine. This is truly a remarkable device for under $100! Finding a bike computer for under $100 dollars is a amazing, finding for under $50 is a steal! CatEye has just that bike computer that is a great purchase for the money. This affordable bike computer has 8 great functions including: speed, max speed, current speed, trip distance and elapsed time. There is so much packed into this small sleek device that makes it worth every cent. If you are looking for a great device without all the fuss and big spending this bike computer might be what you are looking for. There are so many styles and functions in bike computers and CatEye makes a lot of them. One of their best products is the Cateye Micro Wireless computer. This is one of the best wireless bike computers on the market. It features 10 great functions that will bring your cycling routine to whole new levels. This bike computer can easily mounted to a mountain bike or a road bike with ease. 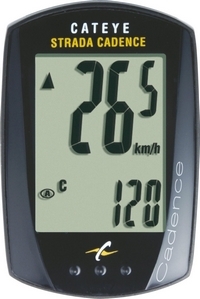 It is a simple to use computer that can track distance, speed and various other elements while you are riding. Overall this handy bike computer is CatEye’s best seller and if you are looking for a reliable bike computer you have to check this one out for yourself. Sigma is well known for their sports products. They have a good line of bike computers for you to choose from. One of Sigma’s best bike computers is the Sigma Sport BC5. This 5 function bike computer has a single use button and is easy to use. It also consist of USB connection to allow you to update it. 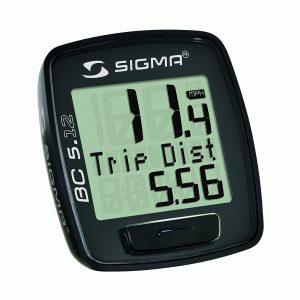 The Sigma Sport is simple and straightforward it monitors and tracks speed, distance and time, as well as has a reliable clock. Overall this is a great product for the price! Garmin is well-known for their GPS systems. However, they do make amazing bike computers for commuters. They have features that any bike commuter would love! 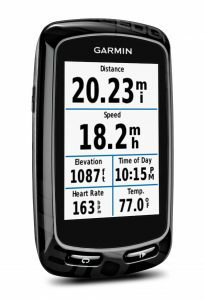 This model is one of the best Garmin’s for cycling. The Garmin Edge 810 is the best Garmin bike computer you can! Many Garmins are great for GPS, especially if you are lost or unfamiliar with a certain area. Which is why they are the best bike GPS. This particular model is nice for navigation and can track speed, distance, time, heart rate and even outside temperature. It has a built-in map system and a USB port to allow you to update maps and have access to sharing on social media. This is truly one of the best mountain bike GPS systems.